One in 10 homes are suffering fuel poverty in Northamptonshire, according to latest Government statistics. Fuel poverty can be defined as being where people spend more than 10 per cent of their disposable income on their heating costs. Government figures suggest one in 10 households have reached this point. 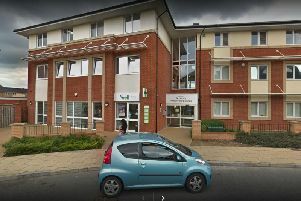 And Northampton advice charity Community Law Service, based in Hazelwood Road, says that welfare reforms have seen more and more people slip into its criteria. Sarah Hayle, advice services manager, said: "The causes are generally low household income due to ill health preventing or limiting work, or unemployment perhaps. Sarah said welfare reforms have had a cumulative effect for many people. For example their benefits have been frozen for several years, they have a "spare room" so have to pay some bedroom tax, or the council tax reduction scheme doesn't cover all of their Council Tax bill. "These can all effect the same person," Sarah said. "Additionally people can live in poorly insulated properties and costs of fuel has increased." Community Law Service is leading on a project to help thouands of fuel poverty victims out of this problem. "We are tackling this in an holistic way working with partners and hope we can have a positive impact on the lives of people in the county who are experiencing fuel poverty." Malcolm Farrow from OFTEC commented: “We often take our heating for granted and turn up the thermostat when the weather gets cold without a second’s thought. Unfortunately, as this latest report reveals, for many households across Northamptonshire keeping warm is a constant source of concern and often anxiety.